Home What Is? What is a Motherboard? When building a PC, it can be easily to think of it as lots of separate modules. You have your CPU which does the ‘thinking’ and the maths processing. You have your GPU to handle graphics. Then there’s the RAM to store data temporarily and the hard drive to save files permanently. Plug it all into a monitor and you’re ready to go! Except this picture is missing something… If you only bought all the individual parts for your PC, then you would be left with a bunch of wires and some devices lying on your table. This is where the motherboard comes in which will not only hold everything in place and keep it all together but also facilitate communication between all the disparate elements. Choosing a motherboard is more complicated than it sounds because you of course need to be sure that everything is going to fit on it. This means you need some concept of what you’re building before you can even start thinking about your motherboard. 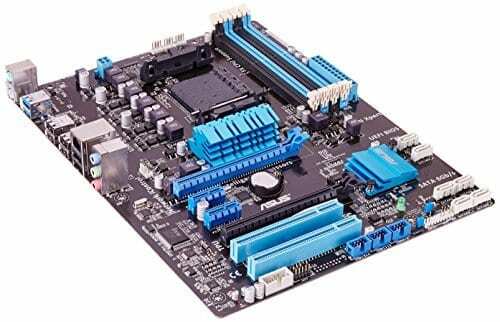 To this end, motherboards come in a range of form factors: ATX, BTX, MicroATX and MiniITX. For a large case like a tower for instance, you need an ATX and this will give you the most ports and expandability. But the MicroATX and MiniITX have been getting more popular later too thanks to the rise of ‘Media Center PCs’. It all depends: are you a minimalist or a maximalist? Another thing you need to choose is the socket type. This is going to relate to the type of CPU you’ll be using and simply put, you need to ensure that the socket type and chipset match the CPU’s requirements – otherwise you might end up with a dud PC. You need to ensure your motherboard is designed for Intel/AMD respectively and that should help you choose your socket type. For the newer Intel processors make sure you have a newer LGA755 board. The front-side bus is the highway along the front of your motherboard where a lot of information runs and where your RAM, PCI cards and hard drives will be located. The faster the FSB, the faster your computer will be able to communicate. The motherboard you choose needs to be able to support the amount of RAM that you want. If you plan on piling up the RAM, then you need a motherboard that can carry it so be sure to do your research. Smaller form factors might only offer space for two RAM chips. Look as well for something called ‘dual channel memory architecture’ – this lets you install two RAM chips into matching banks and double your data throughput. Hard drives can come with SATA interfaces or IDE and the motherboard again needs to be able to support this. Most hard drives should offer you all the connects you need but again, the speeds can vary. One of the key things to look for is expansion slots. These can range in number from 3-6 and the more you have, the more you’ll be able to add components like graphics cards, sound cards or even TV-tuner cards. Look for the PCIe (PCI Express) type slots which offer the most speed and check to see the number of data paths (x1-x16). Another simple way to expand the capabilities of your PC is to plug in a USB stick, a keyboard, a mouse or a VR headset. These will require USB ports, while other functionality might require a headphone jack, HDMI port, SD card reader eSATA etc. As you can see then, a motherboard does much more than just hold everything in place – it will determine what you are capable of building and ultimately have the biggest impact on the performance of your machine. This can be a complicating factor or it can be a helpful starting point. Why not start with your motherboard and then work from there, looking for components that will be compatible?